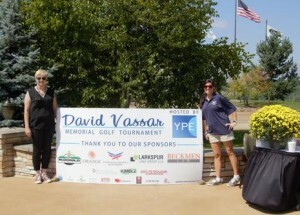 This was from the YPE Canton's Inaugural David Vassar Memorial Golf Tournament held on September 5th at the Quarry in Canton, Ohio. We raised close to $45,000.00 for the David Vassar Memorial Fund, which will go towards a college fund for Dave's young children, Sam and Aubree. Dave was a great friend and fellow landman who recently lost a courageous battle with cancer. 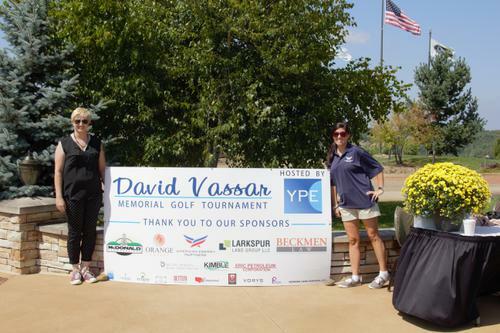 Pictured in the picture is Stacy Ineman on the left (Director of YPE Canton), and Lindsey Fixley on the right (with American Energy Partners).